Wow first time I have seen a reunion for meadowdale 1967. cool. But 50 years has it really been that long? I haved lived in Texas , California, Nebraska because married into military moved back to Lynnwood in 74 moved to tri cities , wa in 76 been here since. remarried and living in Benton city , wa. Married 1st husband in Air Force in 69 went to San Antonio , Texas , Been to Omaha , Nebraska, San Bernadino, California while wife in Air Force. Came back to Lynnwood in 74, Then divorced and moved to Tri-Cities in 76, Married again in 1985. Still Married this time. Yay. Have had Jobs of being MOM, Waitressing , Dry Cleaners, apt cleaner, and Waitressing. Construction flagger and Office manager. 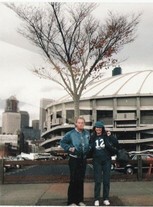 Been a Hawk season ticket holder since 1998. Now retired on 5 acres being a critterlover. Nancy Savage Downey has a birthday today. New comment added. Nancy Savage Downey posted a message. Happy Birthday Steve!!! Happy Hunting!!!! Nancy Savage Downey added a comment on her Profile. Nancy Savage Downey added a comment on her Profile. New comment added. Nancy Savage Downey added a comment on Linda Gatjens Burton's Profile. Does anyone remember Mrs Money, , In the Office. If it wasn't for her giving me a ride to school in my senior year from Edmonds. I would have had more then one credit needed to graduate. My senior year is such a blur. But I do know when I went back to Edmonds High in the 68 year to get my one credit I went back to Meadowdale and they had my '67' diploma ready for me. Vice Principle John Gardner and Money were there to give it to me personally!! THey were pulling for me to do that and I did it! I was a happy girl. If it was up to my stepdad then I would have dropped out, but was not in my category of life to drop out! So remembering anyone from high school is bad. Robyn Olin came over here to live and we were the only close friends after high school. then she moved years ago and I read on here about her roommate Maureen Aber dying. Have her number now to get back in touch with her. Thank you Steve Favorite. 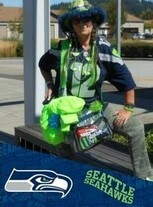 Nancy Savage Downey updated her profile. View. Nancy Savage Downey changed her "Now" picture. New comment added. Nancy Savage Downey added a photo to her profile gallery. Nancy Savage Downey posted a message. New comment added. Nancy Savage Downey has left an In Memory comment for Maureen Aber Barnard. So very sad to hear. RIP Maureen! How did Robin contact reunion page.or who is in contact with Robin Olin? I know they got back in contact 20 years ago.Robin used to live over here in Eastern Washington for awhile. So So Sad. Nancy Savage Downey has left an In Memory comment for William Crossett (Teacher). My Most Favorite teacher. He seemed crazy but it takes crazy to do a Drama Class. I loved Crazy! learned to be creative from him. Best time was following a peacock around at the Woodland Park Zoo to recreate a peacock for Drama Class. Maybe why I didnt do to well in other classes. I loved stuff like this. Rip Mr Crossett! Nancy Savage Downey changed her profile picture. 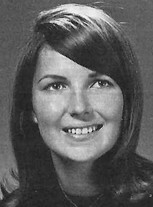 Nancy Savage Downey changed her "Then" picture. My first Hawk home game.